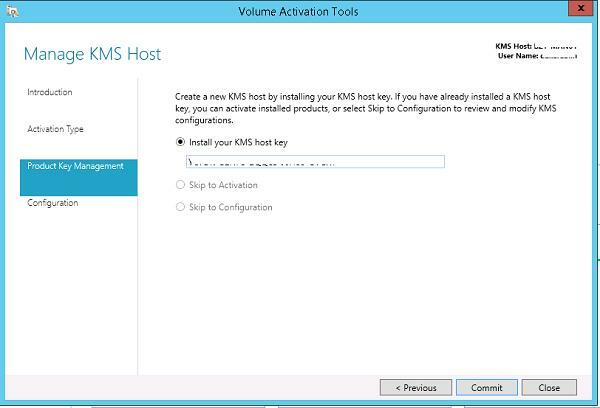 Own KMS server allows you to significantly simplify the process of activating Microsoft products on the corporate network and in contrast to a usual the activation process doesn’t require granting each computer an access to the Internet to Microsoft activation servers. KMS infrastructure is rather simple, reliable and easily scalable (a single KMS server can serve thousands of clients). In this article, we describe how to install and activate the KMS server on Windows Server 2012 R2 on the local corporate network. The main aspects of the functioning of KMS technology, which is widely used for Microsoft products activation, are described in detail in the article KMS Activation FAQ . 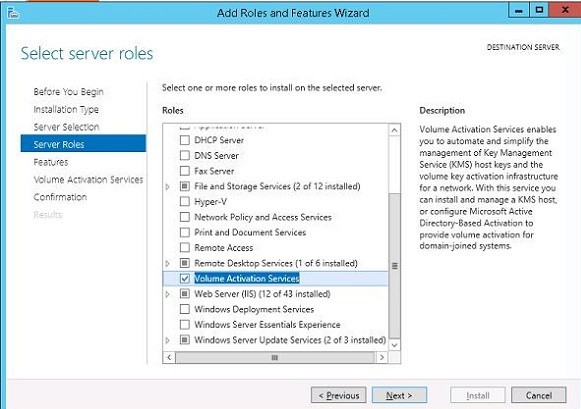 If you are going to install a role through the graphical interface of the Server Manager console, run the Add Roles and Features Wizard, and in the Server Roles selection step, select Volume Activation Services. After the installation is complete, start Volume Activation Tools console. The activation service installation wizard will start. Specify that you are going to install Key Management Service (KMS) server. Note. 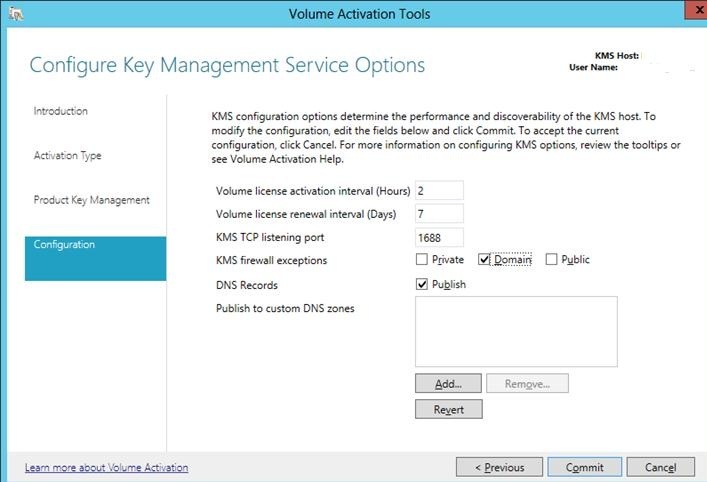 If all Windows OSs activated on this KMS server are in the same Active Directory domain and you are using not older than Windows 8 / Windows Server 2012 operating systems – you can use the special extension of KMS technology – Active Directory Based Activation (activation via AD). Note. The account under which the KMS server is configured must have Enterprise Admin privileges. Next you need to obtain your corporate KMS key (KMS host key – this is the KMS server activation key) in your personal section on Microsoft website (https://www.microsoft.com/Licensing/servicecenter/home.aspx). 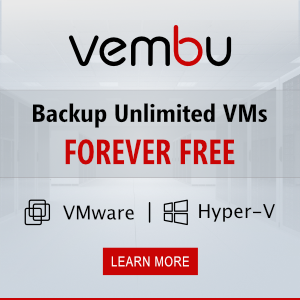 You can find it in the section Downloads and Keys –> Windows Server –> Windows Server 2012 R2. Paste the copied KMS host key in the corresponding field of the installation wizard (Install your KMS host key). If the system accepts the key, you will immediately be prompted to activate it. Based on the entered key, the system will determine the product to which it applies, and will offer two options for activation (by phone or Internet). In the second case, you will have to give the server temporary access to the Internet (only for the activation time). After the key is activated, you have to configure Key Management Service options: activation and renewal intervals (by default, the clients will renew the activation every 7 days), port (by default, KMS listens on port 1688) and Windows Firewall exceptions. 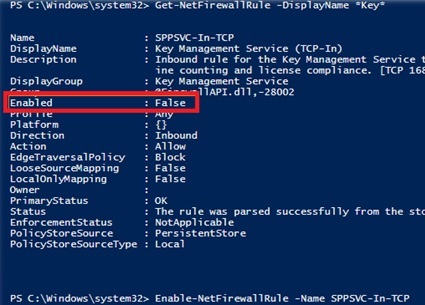 To automatically create a DNS record necessary to automatically search a KMS server in the domain (SRV record _vlmcs._tcp), check the option DNS Records – Publish. If the KMS server is designed to serve clients from different domains, you can publish DNS records in other DNS zones. Specify the zone names in the Publish to Custom DNS zones list. Partial Product Key – the last 5 symbols of the KMS key are shown. License status – license activation status (it should be Licensed). Total requests received – the number of activation requests (0 yet). In case of server operating systems: Windows Server 2008/ 2008 R2 / 2012 / 2012 R2 / 2016 it is 5 clients. 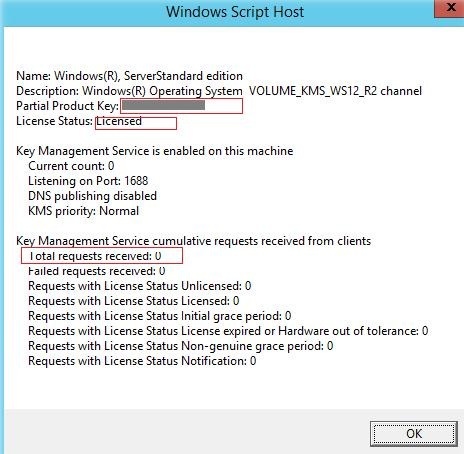 The KMS server that is activated with the KMS host key for Windows Server 2012 R2 (VOLUME_KMS_WS12_R2 channel) supports the activation of all Windows operating systems up to Windows 8.1 / Windows Server 2012 R2 (to activate Windows 10 and Windows Server 2016, you need to install a special update on KMS host and re-activate the KMS server with a new key). 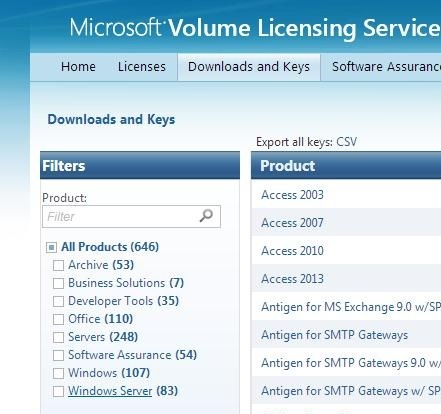 Public KMS keys (GVLK – Generic Volume License Key) for Windows 7 / Server 2008 /2008 R2 can be found here, for Windows 8.1 / Server 2012 R2 here, for Windows 10 / Windows Server 2016 here and here, respectively. 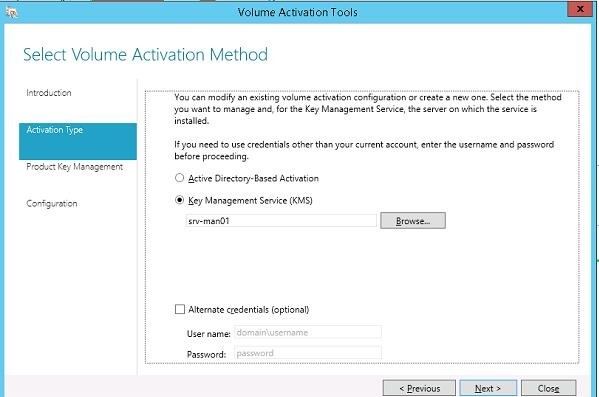 For convenient MS product keys management, clients activation and reports generation, you can use the Microsoft Volume Activation Management Tool. Using the same KMS server, you can activate not only Windows OS, but also MS Office products (for details see Activation of MS Office 2013 VL, KMS activation of Office 2016). To activate virtual machines running on the Hyper-V, you can use the special activation type: AVMA (Automatic Virtual Machine Activation). Hi and thanks for the nice article. I actually have a question. We did the Volume_KMS_2012-R2_Win10 channel because we are deploying windows 10 in our environment. The server has been up for a couple of days, and we have hundreds of Win 10 clients and probably 40 Win 2012 R2 servers that would be requesting a license and yet we are not getting any activations. We also installed VAMT 3.1. We tried MS Activation support but they kept bouncing us between activation and activation support several times and we got no where. Can you give us some help?